I chose to study kungfu in China because it is the birthplace of it, so I believed would give me the most authentic experience in martial arts training.The environment surrounding the academy is awesome, mountains and apple fields. Beautiful with both the white of winter and the green of spring, and all inbetween. It would be impossible to identify a specific greatest gain from my time here because it has been such a great experience, but meeting so many different people from different cultures, creeds and nationalities was eye opening. I have been generally satisfied with all aspects of life here, the masters, the training, the kitchen staff, the translators etc. If I’m being truly honest I’m reluctant to leave, as kunyushan has become my home over the 3yrs I’ve been here. One of the people who contributed most to this is my shifu, Guo shifu. I am incapable of putting into words the extent of my appreciation for how calm, wise and understanding he is, not to mention his physical apabilities. It almost seems like a joke when he declares his desire for his student to be better than him, given how hard that would be for us, but he is absolutely serious. I have been able to confide in him in ways that I’ve rarely been able to do before, despite the language barrier. I would recommend coming here to anyone interested in martial arts, but even though it does cater to westerners in some ways, this is not a hotel it is a martial arts school. Sometimes people don’t understand this. 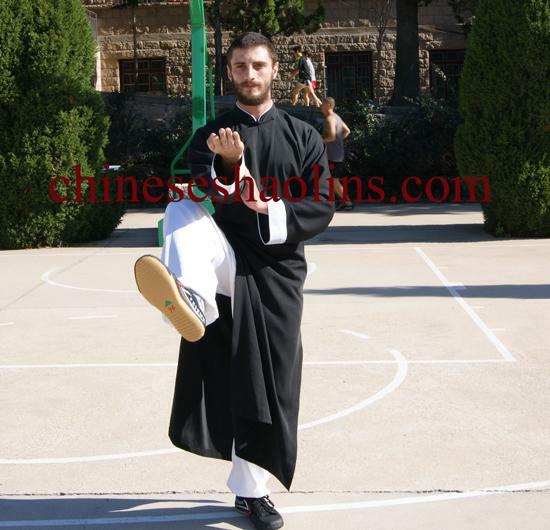 Thank you Guo shifu, thank you kunyu Mountain Kungfu academy. Student Dan trainning Wing chun and Tai chi here for three years.